This is one of the best last-minute ideas for Christmas! 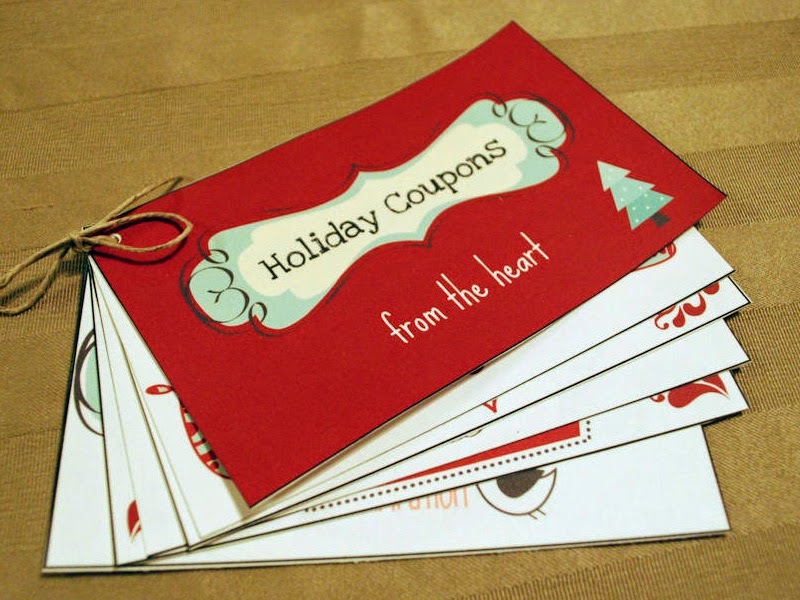 Direct all your creativity into designing beautiful coupons and coming up with the actual activities they offer. It depends on the recipient, of course. If you’re going to make coupons for your second half, here are some ideas for the activities: a romantic dinner, a day at the spa, breakfast in bed, movie date, full body massage. A few ideas for the family: an afternoon of crafting fun, evening out, a new pair of shoes, manicure, any magazine subscription, bowling session, movies etc. The list of ideas is endless!